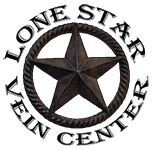 Sclerotherapy is used for varicose veins and spider veins by Dr. Morgan at our offices just outside of Houston in Pasadena, TX and The Woodlands, TX. For larger varicose veins or veins that cannot be seen unaided, ultrasound guidance is used to ensure the sclerosant solution is in the target vessel. The sclerotherapy is completed by combining a FDA approved soapy solution with a small amount of carbon dioxide (C02) to create a foam that is easily seen with the ultrasound. This is carefully injected through a small needle into the target varicose vein. This acts to ablate the varicose vein which is absorbed by the body.